1400% trade tarifs on glasses from Thailand - . Swedish politicians and newspaper cry because USA is thinking to set trade tariffs on Swedish poducts. But Sweden put up to 1400% trade tarifs on import from Thailand where the US company obviously produce these. US just thought, Sweden starts the trading war. I ordered two glasses for a E-cig for 0.5 USD. These glasses were not to be found here in Sweden. I had to pay 75 SEK (about 7 USD) in VAT to get it the glasses from USA. 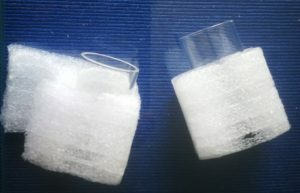 The weight of these glasses were 0.034 kg. But that is obviously a lie. I were afraid to get a similar tax on the propylene glycol I ordered from Amazon. But happily no duties this time. One has to look carefully were you buy things on Internet. 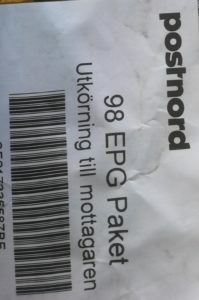 I heard that Wish has a special agreement with the Swedish Postnord so you pay VAT directly when you order. Obviously there is no extra charges if you buy from EPG operators.